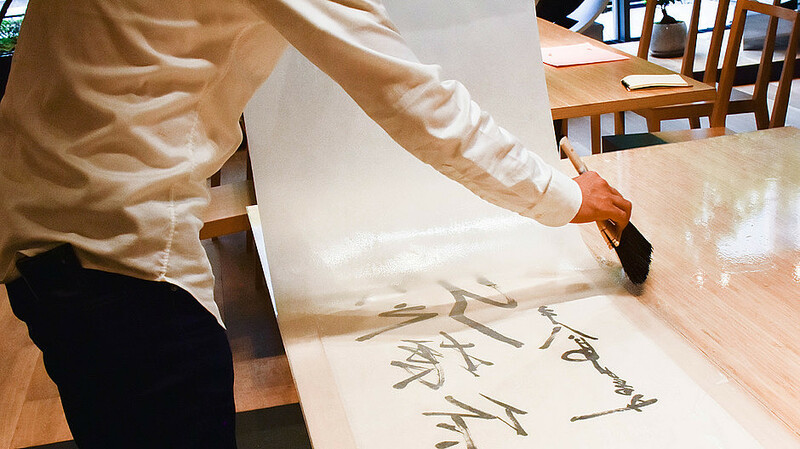 Urauchi (lining), is one of the techniques to strengthen the canvas by attaching washi paper to the back of the paper or silk. The technique is deeply connected with the structure of the painting. The canvas for Japanese paintings such as paper and silk are originally very weak for storage and preservation. In this workshop, we will practice the lining that is basis of the work appreciation and preservation, for people who work on paper and silk as a canvas. In this workshop, we will prepare boiled wheat gluten glue (starch paste) as a glue agent. Let’s lining your work in PIGMENT TOKYO, and feel the beauty of the newly lined washi paper and silk. Please bring your work with paper or silk (up to F10 size) for the practice. If you are concerned whether your work can be lined, or if you are not able to prepare the work, feel free to contact us.